Companies around the globe look to create a single platform for information dissemination and Zerone has rich experience in designing, developing and implementing Microsoft SharePoint based Intranet portal solutions for variety of clientele. 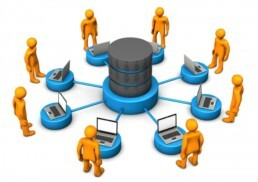 Most large organizations have mounds of disjointed information in a variety of formats spread out across an enterprise. To make the most efficient use of that information, it must be readily accessible, easy to identify, and simple to navigate. Zerone’s SharePoint based portals solution unifies information by allowing members of any organization to create, share, and publish documents from a single access point. Today’s knowledge workers must sift through an ever-increasing amount of information that can be located anywhere in the world and in any format. To use information effectively, the knowledge worker must know that the information exists and must also know where to find it. SharePoint based Intranet Solution developed by Zerone is a flexible, scalable solution that can help knowledge workers manage information. Our intranet solution allows users to easily create, share, and publish information from a single Web portal interface armed with nothing more than the site’s URL. SharePoint solution goes a step further than other portal solutions by allowing document, eforms, workflow, business intelligence features from a single point of access. A business can rapidly deploy and customize our portal solution to suit its unique needs.